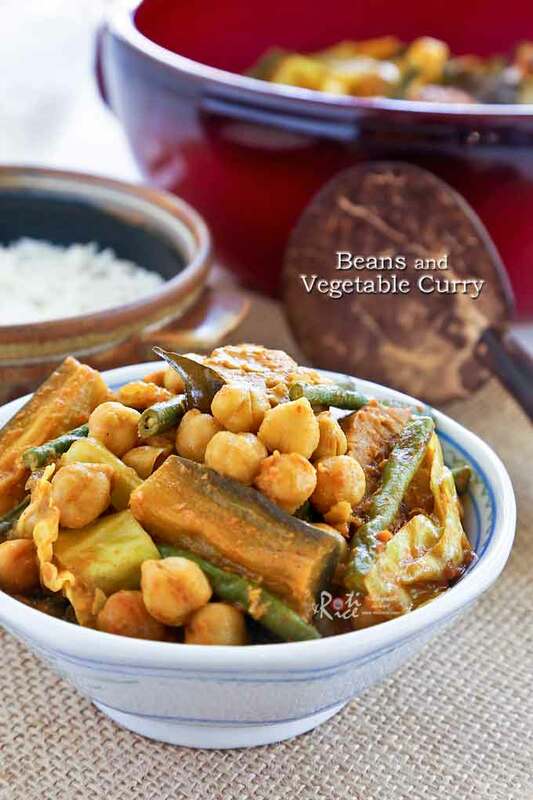 Quick and easy Beans and Vegetable Curry with long beans, chickpeas, tempeh, eggplant, and cabbage. Serve over rice for a delicious vegetarian meal. There is still a lot of winter left in Minnesota. It started snowing again on Monday after a short break. While it is not below zero, the temperature right now is about 20˚F and it is cold by any standards. The snow has been falling steadily and is only expected to clear later tonight. There is easily another 8 to 12 inches of fresh snow on the ground. Going vegetarian when it is so cold outside can be a challenge, but it is a good thing especially after a “meaty” weekend. 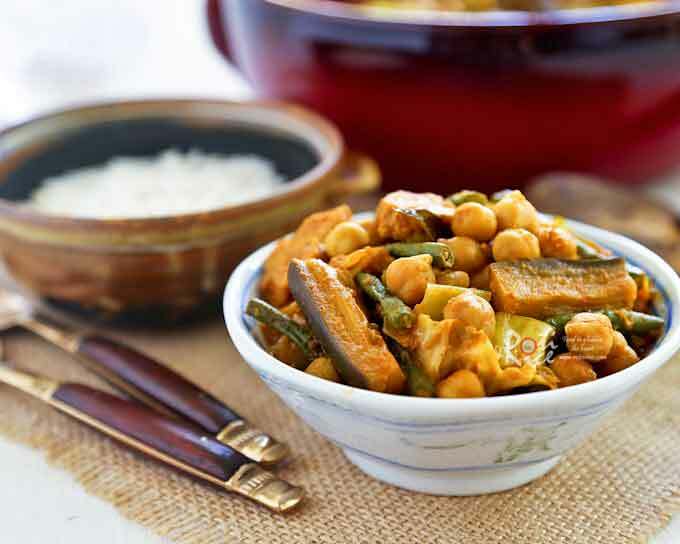 The addition of spices help warm and liven up this Beans and Vegetable Curry. Tempeh and garbanzo beans provide the bulk and texture, not to mention protein and fiber. Tempeh is tasty just pan fried and eaten on its own and I can snack on garbanzo beans or chickpeas. Both are great in salads. 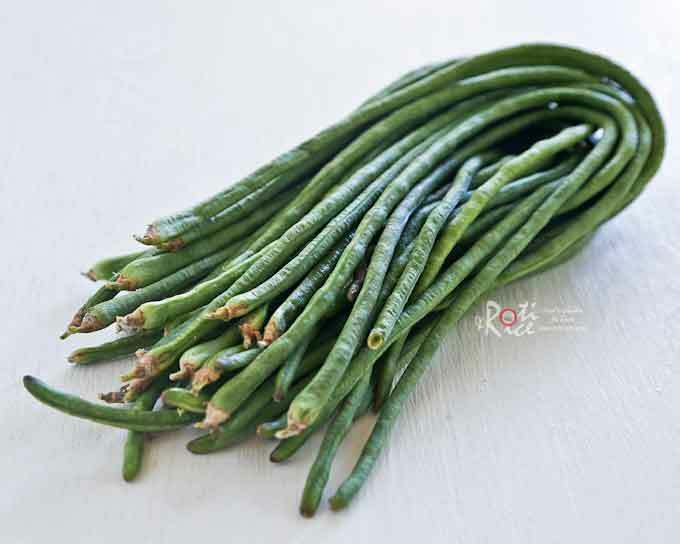 Another wonderful ingredient is long or snake beans. These can be cooked till soft but they are delicious, crisp and tender, in stir fries. It is also a good addition, finely sliced, to omelets and fried rice.